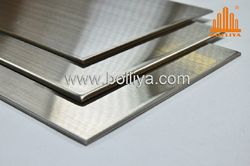 BOLLIYA Stainless steel composite panel (SCP) is composed of non-combustible mineral filled core and two sheets of 0.4mm thick stainless steel. Front side of stainless steel are #304/#316/NSSC220M and back side is # 304 or #316,a highly rust-resistant ferric stainless steel. 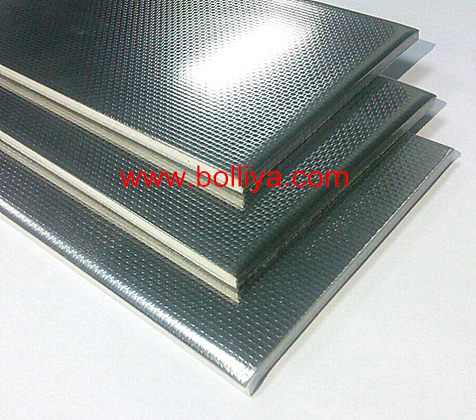 BOLLIYA SCP is suitable for external claddings and roof covering of buildings. (1) Flatness: SCP has the excellent flatness derived from the continuous laminating process. 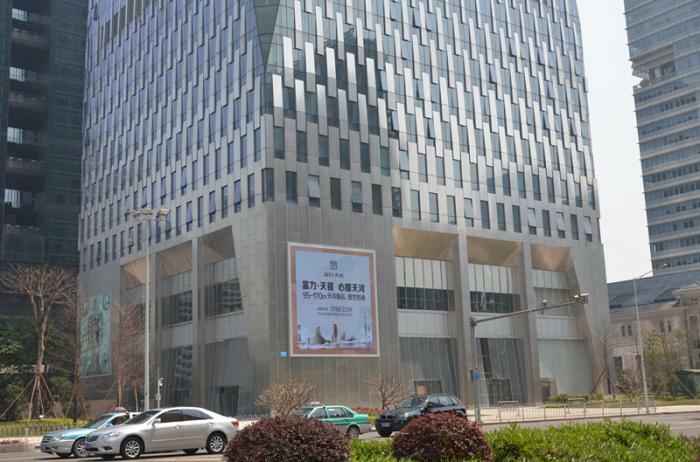 (2) Rigidity: As one of the attributes of composite panels, SCP is rigid and lightweight. SCM 4mm is equivalent to stainless steel 2.9mm thick in rigidity, and reduces the weight by 55%. (3) Corrosion resistance: NSSC 220M/ #316/# 304, with Mo, Nb, Ti contents, has an outstanding rust-resistance. 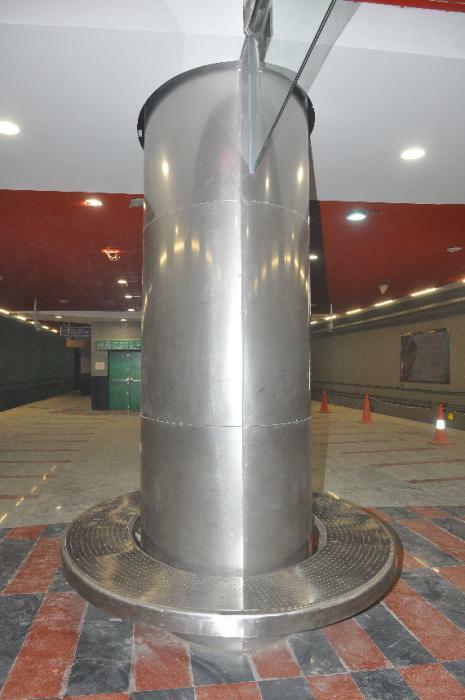 (4) Fire resistant: The core has the same contents as BOLLIYA SCP, and SCP has a fire approval for exterior and interior uses in China and has met the international standard like BS/ASTM. 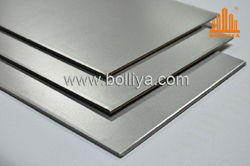 BOLLIYA stainless steel composite panel SCP is composed of non-combustible mineral filled core sandwiched between 0.4mm thick stainless steel sheets. 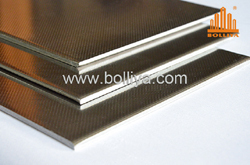 Top side skin: 0.4mm thick stainless steel sheet, #304/#316/NSSC 220M, a highly rust-resistant ferric stainless steel. Core material: Non-combustible mineral filled core. Back side skin: 0.4mm thick stainless steel sheet, #304/#316 a highly rust-resistant ferric stainless steel. 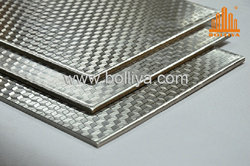 Please have a look at our stainless steel composite panel projects. 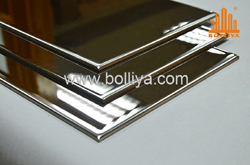 Contact us for assistance at email: sales@bolliya.com or visit our main website www.bolliya.com to know more details. 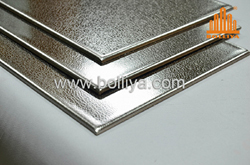 CopyRight 2016 Guangdong Bolliya Metal Building Materials Co., LTD .